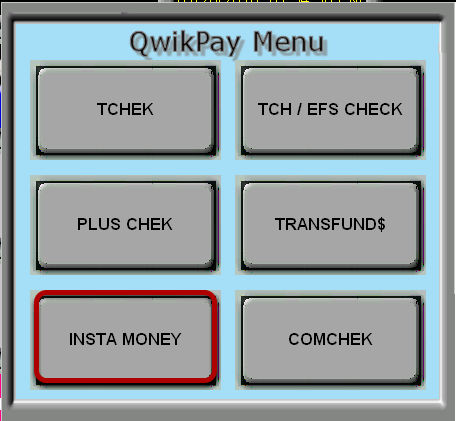 TravStar1 Point Of Sale SystemRegister Manual Fleet ChecksHow Do I Process an Insta Money Check? How Do I Process an Insta Money Check? 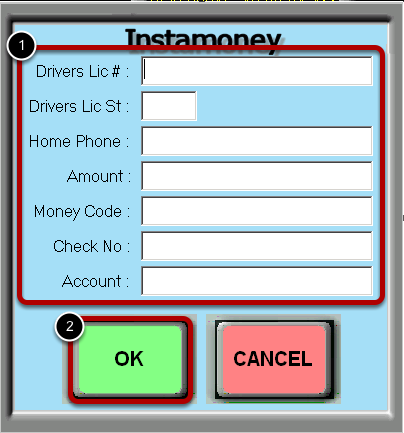 Insta Money is a program that allows customers to access cash from their credit line if they need money for trucking-related expenses like tolls, washing the truck, paying lumpers or anything else that cash might be needed for. 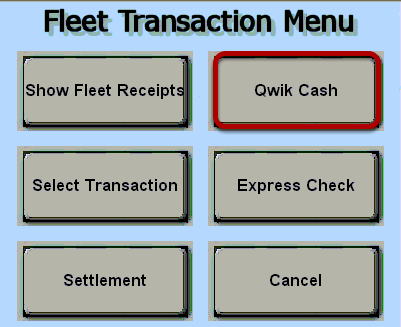 A fleet can provide drivers with a cash advance limit per week and that cash can be accessed at any truck stop in the Multi Service Fuel Card network. The cash advance is distributed by the fleet however desired. Drivers will only have access to the amount of cash they’re approved for. Touch the "Insta Money" button. Customers will come in with a money code. Money codes can sometimes be in the MMDDYY format. 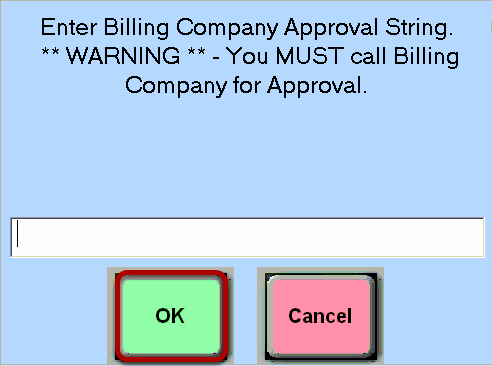 You must give the customer a blank check to fill out. Prev: How Do I Process Transfund$ Check? Next: How Do I Process a Comcheck?